As a YB parent or caregiver, you can sign up to have money sent to YB for free through the following programs. Signing up is easy, and merchants donate percentages of your purchases to our school. Those dollars go directly back to supplies, programs, and staff who help enrich your students' educational experience! Win-win! Download the app and pay through Benefit at MANY retailers! Earn $1,000 for YB in a year just through daily spending. Sign up and add your VONS or Pavilions or credit cards, or dine at participating restaurants. Click this banner! These pink squares can be found on everything from cereal boxes to office supply packaging, and they are worth 10 cents each, so when you see one, clip it! Each classroom has a collection box for Box Tops. A few times during the school year, volunteers collect them, trim them down to the dotted lines, bag them up in batches of 50, and hand them off to the coordinator who submits them for CASH. 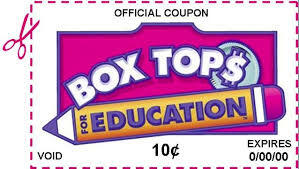 You can also shop through the Box Tops website for even more money for YB. WASHBUCKS and LAVAGGIO DOLLARS can be earned for every $10 you spend at the Agoura Hills Car Wash or at Lavaggio. Don't forget to ask for them every time you or your family members or neighbors go to the car wash! Bring them to school with your Box Tops and a parent volunteer will collect them. Sign up for Conejo Deals and designate YB as the beneficiary. YB gets $2 for everyone who signs up, plus a donation every time you buy a deal and select YB from the drop-down box!